This All About Spells Page includes information about Spells, Spell-work and all things related to Magic Spells. Can Spell Casting Help Me? Can I Cast Spells Myself? Can Alizon Cast a Spell for me? Magic takes many forms. From entertainers performing tricks for an audience to the arcane arts practiced in dark secret places. From the white witchcraft of the ancient order of Shaman to the miracles all around us that is this world and the life upon it. Real Magic, the sort we will practice here, is simply using the forces that already exist within the universe, and ourselves, to consciously manifest things that we need, want or desire. You can use Magic to get whatever you want in life. I have been practicing Magic to achieve what I want in life for many years, and now I have what I want in life. Many of the things that you thought impossible can be achieved by you in your life. But what you want must really be what you want, and not to the detriment of others. They must be goals that are not unrealistic or fanciful, and they must be goals that are for the highest good. There have been many practices and techniques developed by many civilisations in the history of mankind that have helped us control and manipulate the world around us. Magic is one of them and it manifests itself in many forms in the society and world that you live in now. Magic is merely the study and application of forces and powers within us all. It uses elements of mental training, concentration, and a system of symbols or foci to help us programme positive thoughts and produce positive results in our environment. The purpose of Magic is to alter the self and the environment according to the Will. 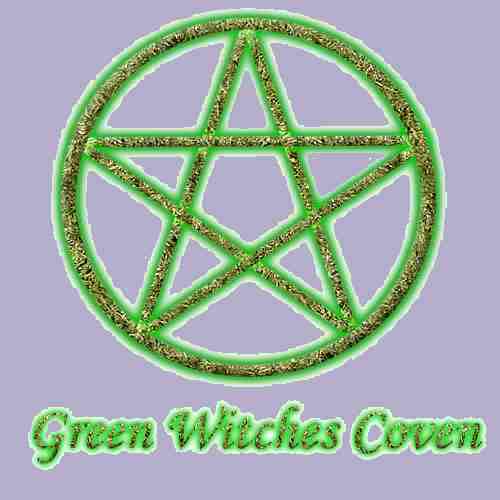 You can join the Green Witches Coven and begin to learn all about living a Magical life and learn all about Spells..
Magic is an adventure that can take you to the very edge of what you know and expect of the world around. Magic is fun, interesting and exciting. You can use Magic to enrich your life with new experiences and expectations. Fantasy becomes reality with Magic. It can help you to better health and bring you constant good luck, improve you as a person and eradicate bad habits. Magic can make you more attractive to others. Magic can give you new reasons for living. Magic is powerful and you should never underestimate its potential. Magic is a philosophy. You can use Magic to alter events and achieve what you want in life. We all have the Magic within us to achieve what we want and what is good for us and for those we love. I have no doubt in my mind that Spells work. Belief is a vital element in Spell work. Click here for more information all about Spells and how Spells work. Can Spell Casting help you achieve what you want in your life? Learn how you can utilise the powerful energies of the Universe to realise your Dreams and Goals through Spell-work. Click here for answers to the question: Can Spells work for me? Spell Casting is a wonderful exercise that helps you to concentrate and focus on your goals. By Casting your own Spells, you can generate the will and power within you to achieve what you desire. I am very experienced in gathering and concentrating the energy in the Universe to help people achieve and manifest things in the material world. Click on the links below to learn about each Spell I offer in my Spell casting service.